Do you guys know that the object reflects the light, whenever it falls on the object, and once the reflected light reaches our eyes, we see it. There are a lot of facts related to light, but two most common ones are an image formed by mirrors and bending of light through lenses. In simple terms, mirror means a smooth and highly polished glass surface, through which images are formed by reflection, as the light falls on it. On the other extreme, a lens is a part of the transparent refracting medium, (i.e. glass), bounded by two surfaces, of which at least one is spherical. It helps in the formation of images, as the light passes through the medium. 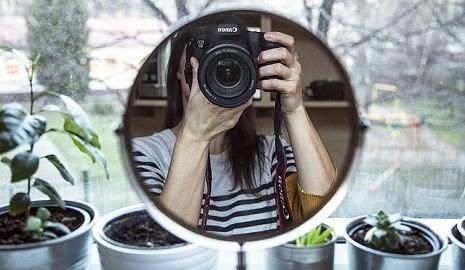 In this article excerpt, you will find an in-depth discussion on the difference between mirror and lens, so have a look. Meaning Mirror implies a glass surface with a silvery backing, that produces image through reflection. Lens is a transparent substance of glass or plastic, bound by two surfaces, whose at least one surface is curved. Nature It can be plane or curved. It is usually curved, with one or both sides. 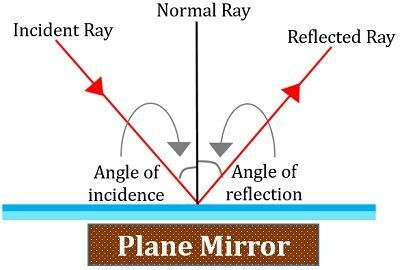 Plane mirror: A mirror with a flat surface is called a plane mirror. It produces virtual and erect images. 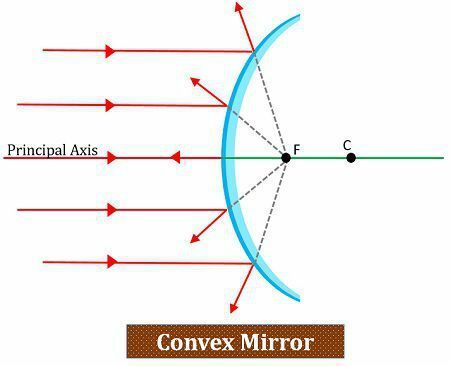 Convex Mirror: A mirror in which the reflection takes place from the curved surface is a convex mirror. In such mirrors, the inner side is painted, and the outer one is polished, which reflects the images. It is a diverging mirror that forms virtual and erect images of the object placed in the front. 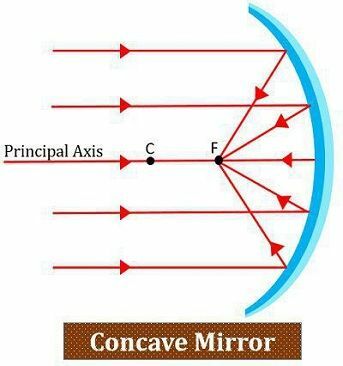 Concave Mirror: The concave mirror is one in which reflecting surface is curved inwards, and its face is towards the centre of the sphere. It is a converging mirror. Lens implies a piece of transparent material, i.e. glass or plastic, that has two opposite surfaces, one or both of which are curved. It is most commonly used for correcting the vision. 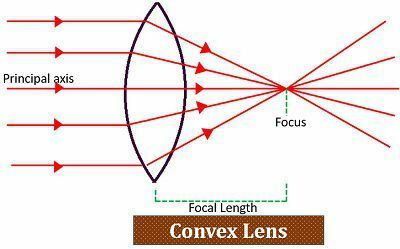 Lenses are either singly used or in a combination of two or more simple lens in an optical device, so as to produce an image by converging the beam of light. Convex Lens: The surface of a convex lens is curved outwards from the centre, which converges the rays of light. Binoculars and telescope, magnifier, etc. use this type of lens. 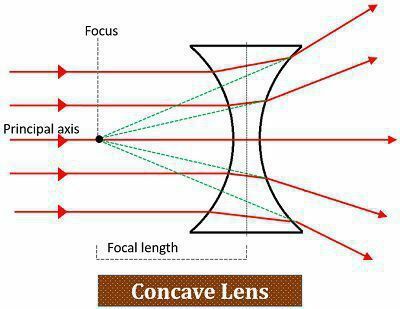 Concave Lens: Concave lens has a surface that bulges inward towards the centre, and thus it diverges the light beam. It is mainly used TV projectors. By the term ‘mirror’ we mean a shiny piece of glass, that is polished from the back, which reflects a clear image of the object, placed in front of it. On the other hand, Lens is a transparent piece of glass, with a spherical surface, that concentrates or disperses the rays of light falling on it. A mirror is either plane or spherical. In contrast, a lens has two surfaces, at least one of which is curved inwards or outwards. As the light ray strikes the mirror, it reflects off the light in a different direction, resulting in the formation of an image. Conversely, in case of lenses, the light ray enters the medium (lens), which refracts (bends) the rays in a different direction, creating a focus, from where the rays seem to originate. Where v = Distance of image from the pole. u = Distance of object from the pole. Mirrors and lenses are used to produce the image of whatever placed in front of it. Depending on the position of the object, the nature of image may vary, i.e. it can be real or virtual. A mirror is usually of a glass or a metal, but a lens is of glass or plastic.